A weapon fit for clockwork adventure, the Steampunk Gear Guard Machete combines a familiar blade style with anachronistic flair. 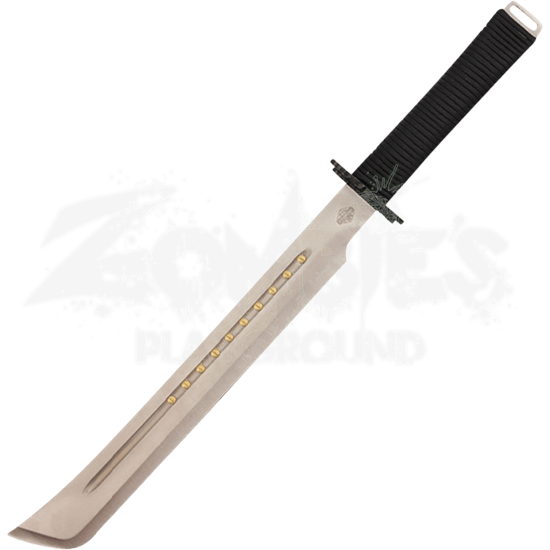 This unique machete features brass tone rivets down the length of its fuller and a gear shaped guard. 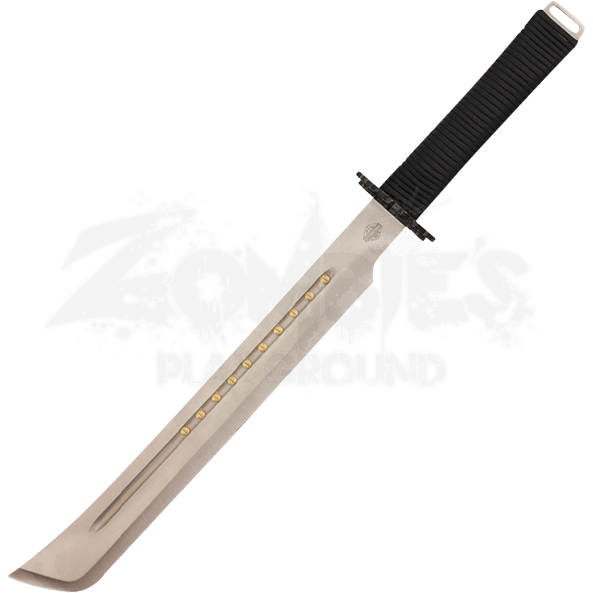 Made of stainless steel, the blade of the machete is straight until its tip, where it curves slightly upward. The gear shaped guard is followed by a black, paracord-wrapped hilt and a stainless steel open pommel. Store this collectible steampunk weapon in its matching black nylon sheath. An intriguing addition to steampunk home decor and weapons collections, the Steampunk Gear Guard Machete is a must-have for weapon enthusiasts fond of all things steampunk.